Hanoi (VNA) - Vietnamese shares extended losses for a fourth session on August 11, the last working of the week, as investors acted cautiously following the market’s recent downturn. The benchmark VN Index on the HCM Stock Exchange inched down 0.17 percent to close at 772.08 points. The HNX Index on the Hanoi Stock Exchange dropped 0.11 percent to end at 100.86 points. The two indices have respectively lost total 2.6 percent and 1.5 percent after the last four sessions. The last four-day losing streak also pulled the VN Index down 2.1 percent and the HNX Index down 1 percent from the previous trading week. Nearly 224 million shares were traded on both local bourses, worth 3.74 trillion VND (166.3 million USD). The market trading liquidity continued to decline on a daily basis. August 11’s trading figures were down 13 percent in volume and 3.2 percent in value from the previous day. BIDV Securities Company (BSC) said in its daily report that investors were cautious with the current market trading condition as they did not count too much on the market recovery in the near future. Poor investor confidence sent 11 of the 20 sector indices on the market to negative territory. The biggest losers among those sector indices were energy, agriculture, insurance and seafood processing. In addition, total declining stocks on both local exchanges outnumbered gaining ones by 255 to 202, while 131 others finished unchanged. In the VN30 basket, which tracks the performance of the 30 largest listed companies by market capitalisation, declining stocks were equal to gaining ones. 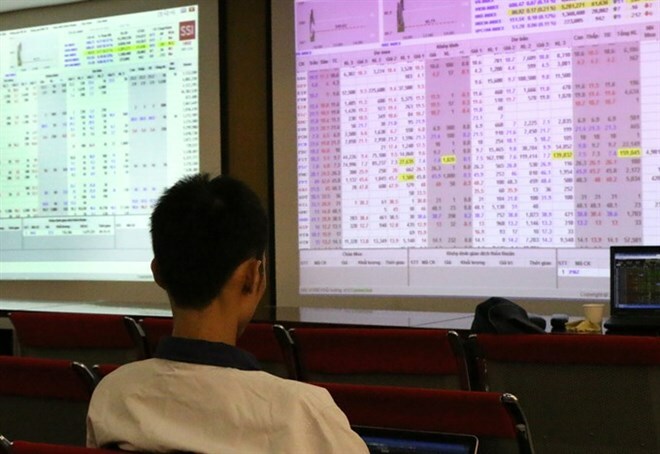 On the derivatives market, 615 futures contracts were traded on August 11, worth 46 billion VND.